Zoned R12. Double Wides allowed, no Single Wides, Modular/Stick built acceptable as well, per Greenville County Zoning. .61 Acres. Country feel with all conveniences of the city. 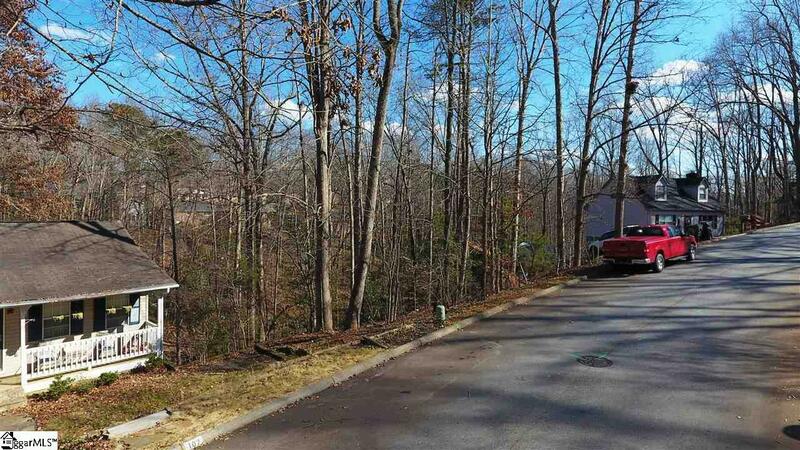 Lot is wooded and sloped, in a small neighborhood community, 15 minutes from downtown Greenville. Cable and Public Utilities (Public water/sewer) available at street. No HOA or HOA dues. Though lot is sloped, it can be built on - look at neighboring homes for design. Parcel ideal for a walk out basement, or walk in crawl space. Property goes back a good distance even past creek. Beautiful parcel! Many possibilities for developers, and/or individuals wishing for land to build a dream home. Note: Address # is a place holder only, to be verified with the 911 system if planning to build. Please feel free to contact for additional information and/or to see all the wonderful features this land includes. Thank you for viewing this listing, and for your interest in this great residential parcel.